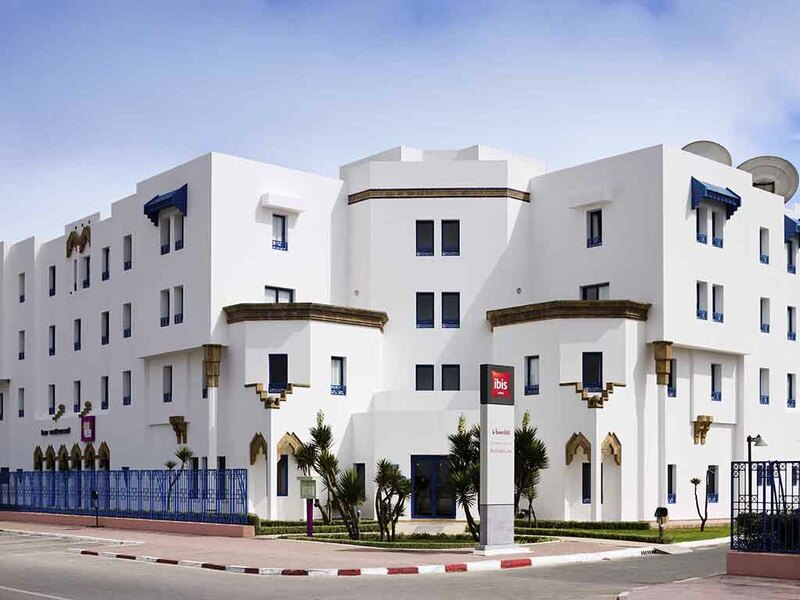 Overlooking the beach, the ibis El Jadida hotel is 5 min from the city center, 15 min from the Sidi Bouzid seaside resort, 10 min from the historic monuments in the Portuguese city, and 1 hour from Casablanca and Mohamed V airport. The hotel has 103 air-conditioned rooms including 2 for people with reduced mobility, a restaurant, a bar open 24 hours a day, a terrace, a pool, a meeting room and a public car park. Overlooking El Jadida beach, the hotel is 5 minutes from the city center, 10 minutes from the "Citerne Portugaise" (the "Portuguese cistern") historic monument and 15 minutes from the large coastal resort of Sidi Bouzid. In order to enhance your experience at our hotel, our communal areas are currently undergoing renovation. However, the work is only taking place during the day. La Table restaurant is all about freshness, simplicity and delicious food. Our varied menu features gourmet dishes from Morocco and around the world, enhanced by the mouth-watering flavours of exotic spices.